Don't miss out on this opportunity!! This spacious home sits on TWO lots zoned residential/commercial with a huge 30'+ boat deep pull through garage. Garage is cooled and has plumbing to add an additional bathroom if desired. 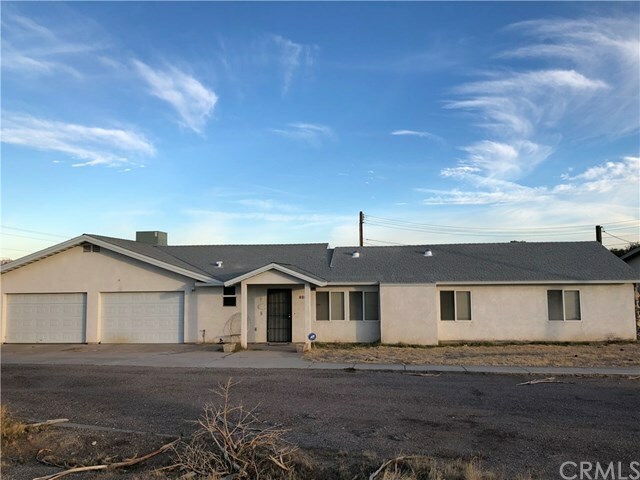 This home features 2 bedrooms, 2 bathrooms, large kitchen with a HUGE walk in pantry with enough space for two additional freezers/refrigerators, huge family room with built in Murphy Bed for when friends come to visit, built in book shelves and beautiful laminate wood floors. Kitchen and family room look out to the fully fenced backyard with large covered porch with ceiling fans, recessed lighting and gas hookup for BBQ. Brand new septic system installed. This home also has RV parking with full hook ups! Plenty of room for everyone! !